Clemons’ background in education, American studies and women’s studies have helped her build a teaching and research agenda that encourages students to create positive change and resistance in their communities. Renowned scholar Kristal Moore Clemons will visit Wright State University to present “Be Deliberate and Afraid of Nothing: Why We Need Black Feminism Now More Than Ever” on Thursday, Sept. 6. Clemons’ lecture will take place at 6 p.m. in the auditorium of the Medical Sciences Building. The event is presented by the Bolinga Black Cultural Resource Center with additional support from the Wright State Women’s Center and Women’s Studies Program. Clemons uses the social foundations of education to bring intellectual resources derived from the areas of liberal arts, particularly women’s studies, cultural studies, and history, to bear in developing interpretive, normative and critical perspectives on education and popular culture, both inside of and outside of schools. She first became passionate about this work in 2002 during an internship for the Children’s Defense Fund’s Freedom Schools. As an intern, she taught a reading curriculum, developed lesson plans and facilitated social action projects with elementary and high school students. In 2008, she co‐founded and served as director of the Durham Freedom School at North Carolina Central University. Her experiences with the contemporary Freedom Schools movement was the impetus for her to develop a research agenda and dissertation project dedicated to uncovering African American women’s role in the 1964 Mississippi Freedom Summer. Her current research focuses on finding new ways to have intergenerational dialogue amongst and between Black women activists from 1964 and those of the present. Clemons has presented her work all over the country at a number of conferences. In 2008, she shared a panel with Dr. Mark Anthony Neal and Grammy Award­­–winning artist 9th Wonder at the Duke University John Hope Franklin Symposium. 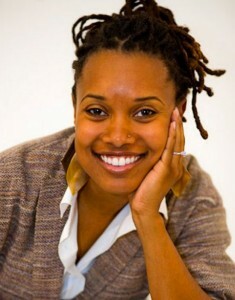 Clemons has served as a guest contributor to The Feminist Wire and co‐authored several works including, What the Music Said: Hip Hop as a Transformative Educational Tool, published by Routledge; The Queen of Television: Oprah Winfrey in Relation to Self and as a Cultural Icon, published by ABC‐CLIO Praeger; and “Bein’ Alive & Bein’ a Woman & Bein’ Colored Is a Metaphysical Dilemma”: Black Female Social Integration at a Predominantly White Institution,” published by Emerald.